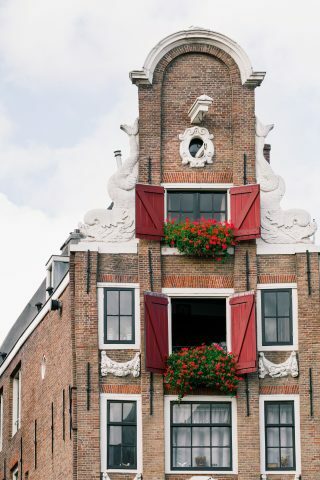 Historic facade in Amsterdam, Holland, Europe. 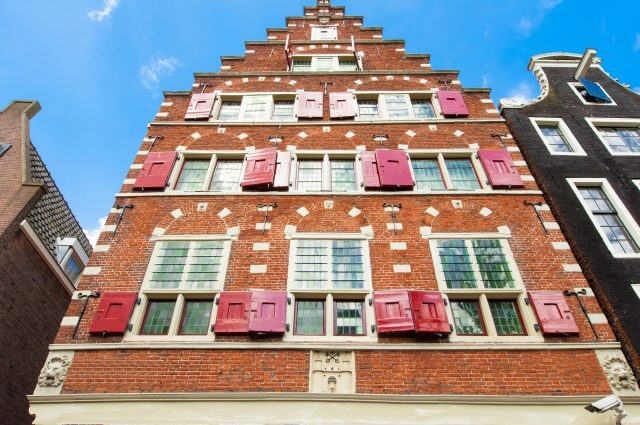 Medival apartment building. 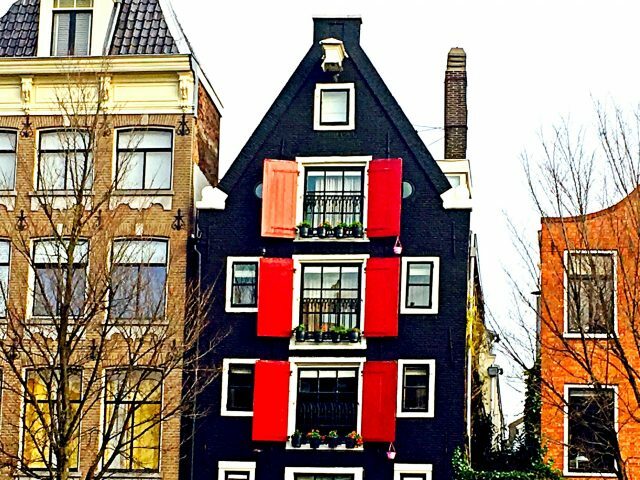 Red-light-district of Amsterdam. 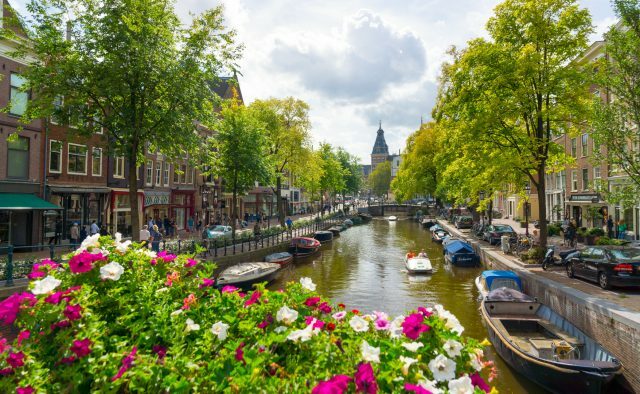 Explore the historic center of Amsterdam and delight in the culture and history of this unique city from cobbled streets to world-famous canal houses. 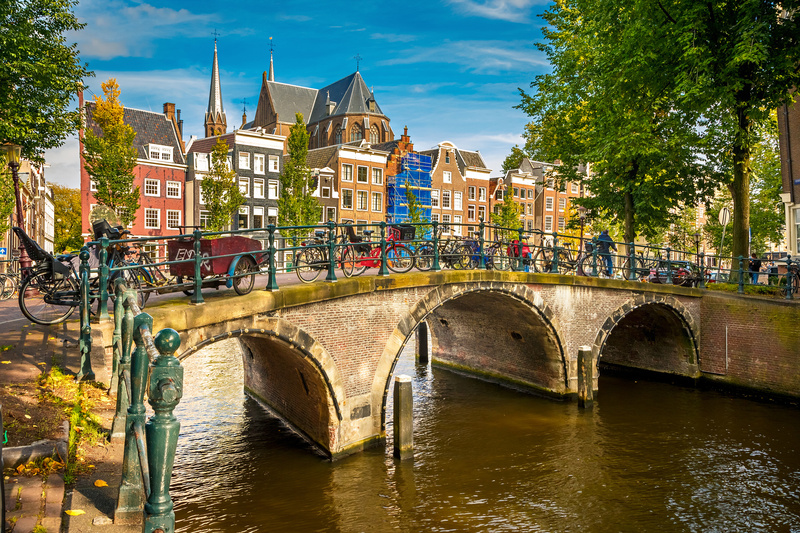 Amsterdam Old Town Walking tour can start from your hotel/accommodation venue or any central location. 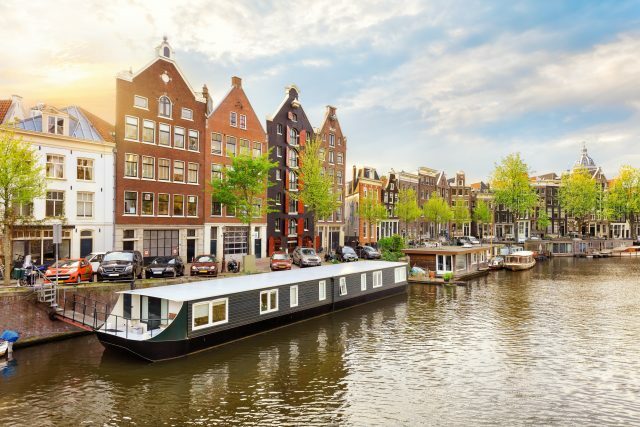 We will set off at a relaxing pace to an enjoyable discovery of the old Amsterdam and experience the highlights of this unique city built on 165 canals and 90 islands connected by 1500 bridges. 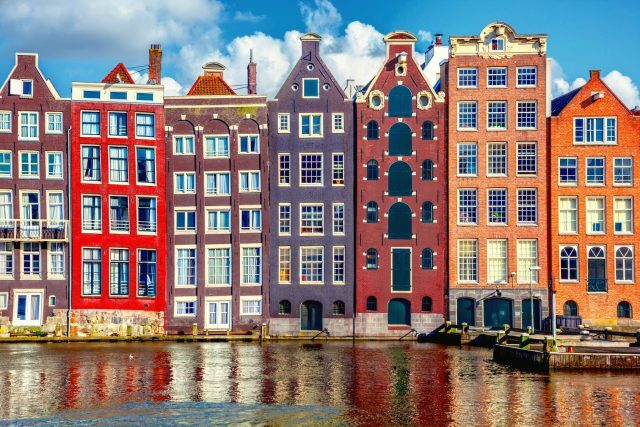 Let your private guide lead you through the magical streets of Amsterdam and delve deep in the artsy, historic and colorful districts while listening to an entertaining presentation of its past and present day. 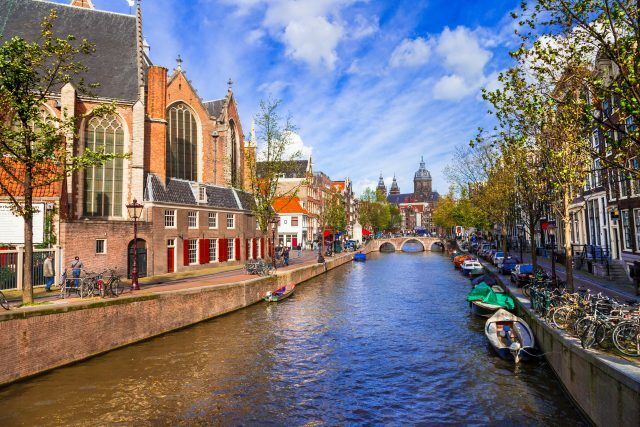 Old Amsterdam walking tour will take us around to see the gabled houses and historic churches of old Dutch masters. 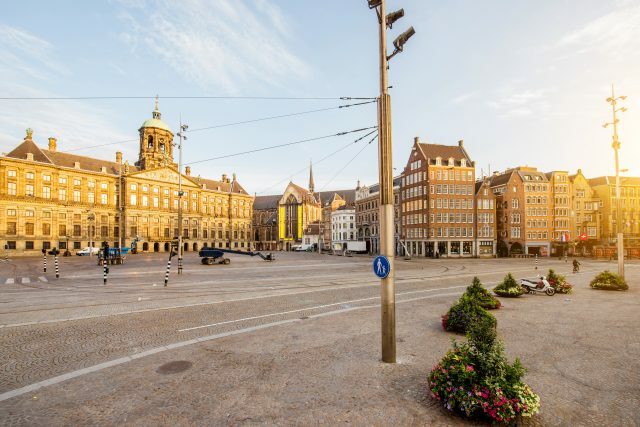 The royal heritage of Amsterdam is celebrated on the Dam Square, where lavish Town Hall, once a royal residence, takes us back to the Golden Age of the 17th century. 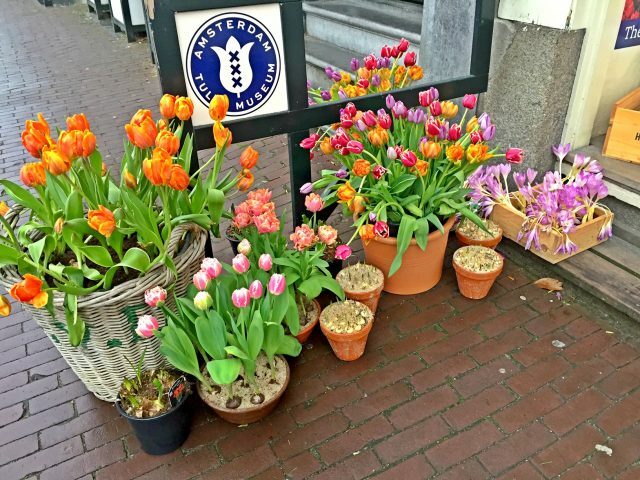 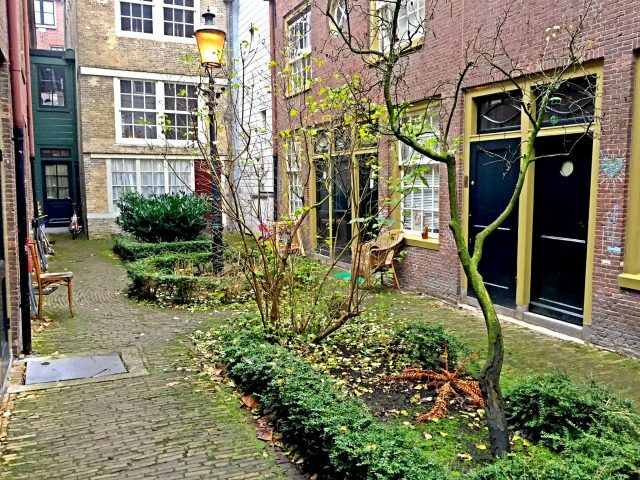 Wandering along canals and over dainty bridges, we will also discover Begijnhof, one of those rare and tranquil courtyards hidden away from the lively inner-city streets. 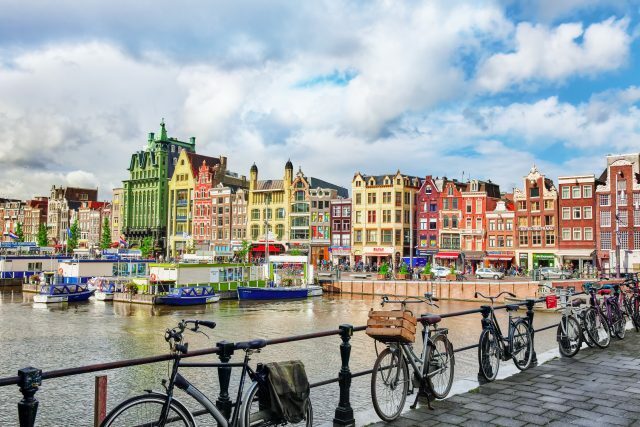 As a striking contrast to this old Catholic neighborhood, behind the wholesome facades of old Amsterdam, we find also the Red Light District for some lighthearted information about the historical and social context of this intriguing area.